Hello, did you all have a good weekend? 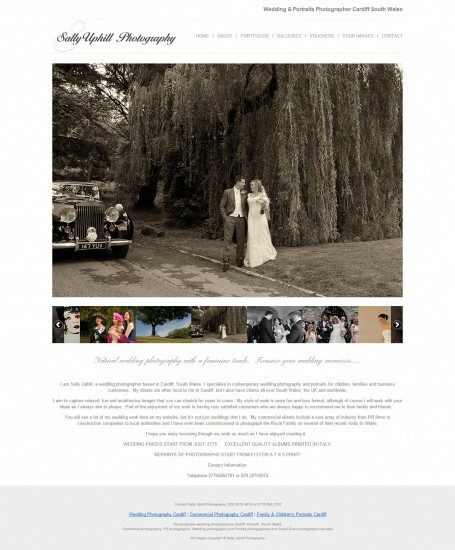 As the weather is getting more dreary we thought we would brighten your Monday with a classic and elegant website. Sally Uphill contacted our website design team because she wanted to divide her commercial and wedding photography websites, however still keep continuity between the two. A lot of the inspiration for Sally’s websites were taken from her photographic style and logo design. As you can see Sally specialises in simple and sophisticated images and her logo is elegant and classic. 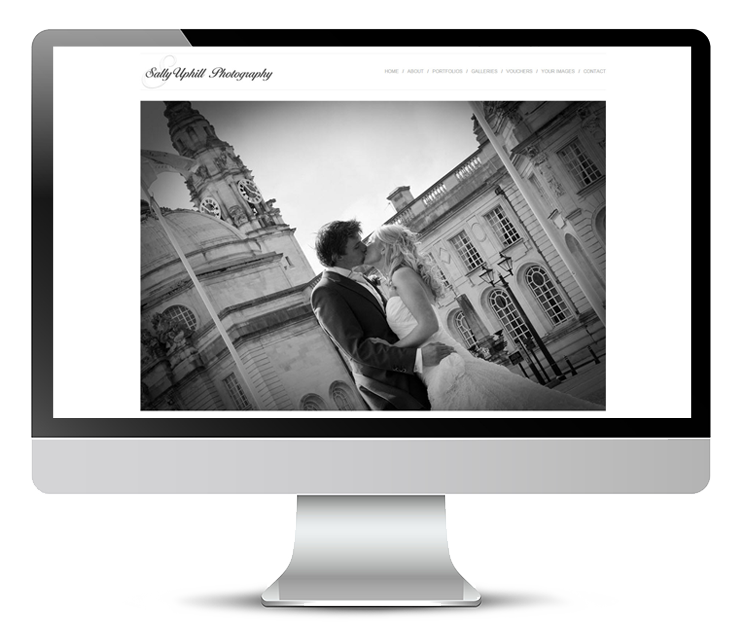 A clean layout and simple colour scheme of black and white where chosen for both Sally’s wedding and commercial sites so that there was continuity between the two. 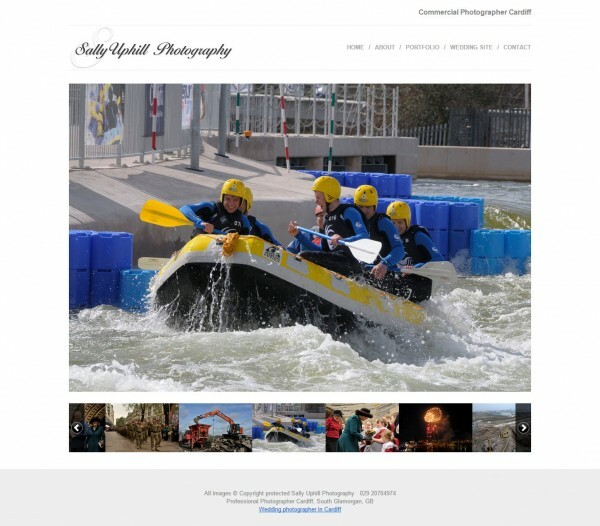 Also, a large slideshow was chosen so that Sally’s images were the main focal point of the home page however text was added and centred beneath the slideshow to give a classic feel. Sally also chose to use mosaic pages and large slideshows throughout her wedding and commercial portfolio and gallery pages, once again making her images the focal point. Equally, she decided to use flipping albums to show her clients what the wedding albums she offers will look like in advance. This is a really great feature as it’s always nice to know what you’re signing up for and being able to view that sort of product in advance, is a really nice touch. Finally, Sally offers gift vouchers which can easily be purchased from her website. This has been designed really effectively as a customer can easily select the amount of the gift card from a simple drop down menu. 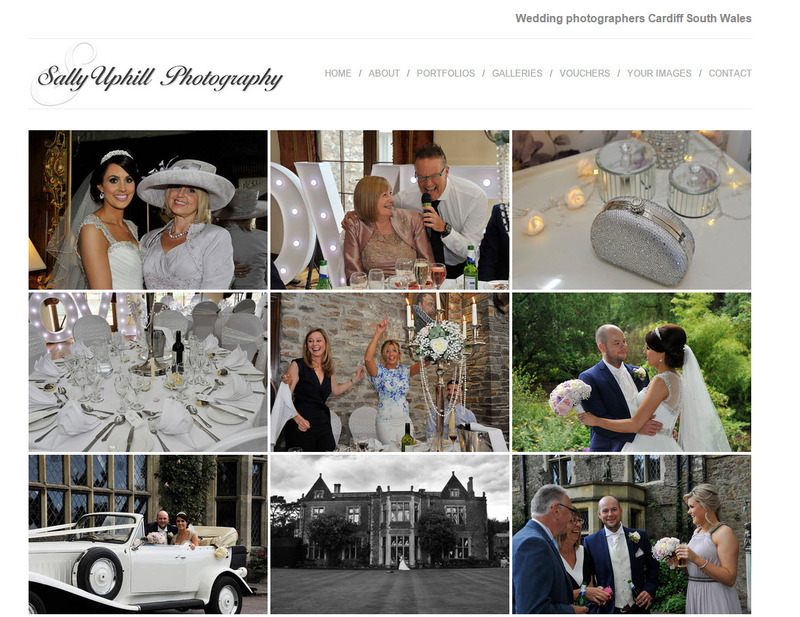 To see more of Sally Uphill check out her wedding and commercial websites here! Focus On…Anthony Gould-Davies! Focus On…Ashley Franklin! Featured Website: Dream Day Photography Focus On…Rebecca Northway!